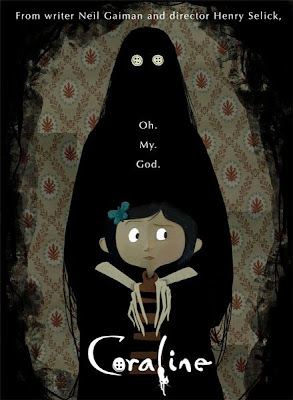 I’ve noticed there’s a bit of a hype for this movie Coraline and I think I can see why. The movie is based on a book written by Neil Gaiman which sold over one million copies in 2002. From the director of Tim Burton’s Nightmare Before Christmas, Henry Selick brings Coraline to life. It has that Nightmare Before Christmas vibe but I think it’s going to be a good movie. The movie comes out in theaters Feb 6th. If you haven’t seen the trailer yet check it out. 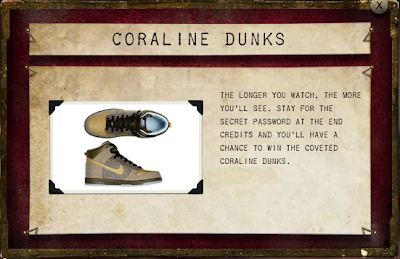 Nike created a pair of dunks for the movie. If you watch the movie the day it comes out, there will be a secret password at the end of credits for you to enter to win them. Check out Nitrolicious.com for more info.